Every year, many children, teachers and schools support War Child in various way. This year 400 children organised fundraising events with their schools, 750 children gave a presentation in their classroom or wrote a paper on our work, and 1,325 children performed in our end-of-the-year school musical ‘Voor kids gaat de zon op’ in 53 schools. 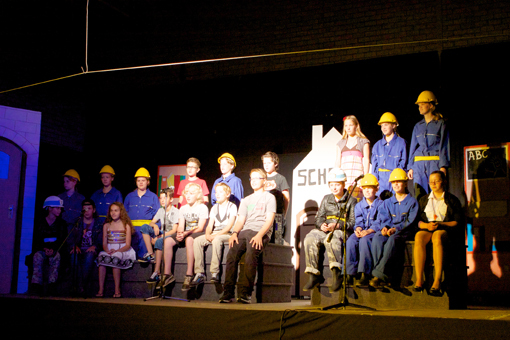 A new school musical, ‘De Koning te Rijk’, has been developed for 2014. Fundraising in the kids and schools segment increased from € 220,000 in 2012 to € 442,000 in 2013, mainly due to income from events. For example, in cooperation with the National School Breakfast (a national event where over 400,000 children in 2,000 schools receive a free breakfast), more than € 100,000 was raised by children and city mayors who paid for their breakfast instead of receiving it for free.